When shopping for a truly one-of-kind individual, you want a gift that reflects the person’s vibrant personality and unique style—not to mention one that celebrates a special occasion, whether it’s the holidays, a birthday, or an anniversary. But where does one find such a gem? 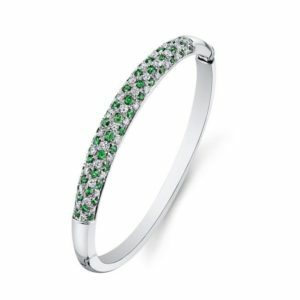 In order to tell a person’s unique story, the first place to begin is his or her birthstone. We all have one! 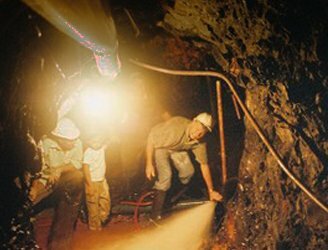 And when we discover its unique attributes and universal history, its shimmer captivates us, and we wish to extend its personal sentiment to those around us. For instance, the April birthstone is the precious diamond, which symbolizes eternal love. Therefore, it’s no wonder why the act of proposing to a loved one with a diamond engagement ring has become a celebrated tradition for couples around the world. 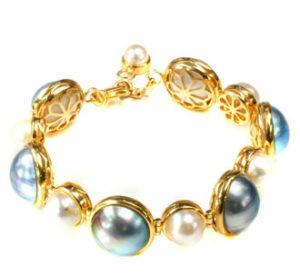 The pearl, on the other hand, is the June birthstone, and represents purity. As one of the most popular gemstones of the Roman Empire, pearls offer a unique origin story as they are the only gems from living sea creatures and require no faceting or polishing to reveal their natural beauty. Although some may argue that birthstone jewelry is more suitable for birthdays than holiday gift giving, the truth is birthstone jewelry is perfect for every occasion, person, and type of relationship. From husbands to wives, daughters to mothers, parents to children, and so on, birthstones are timeless! And most importantly, they can be represented in a variety of custom jewelry pieces that help accentuate their one-of-a-kind features. Start with The Person’s Style: Think about the individual’s personal tastes. Is she more sentimental or elegant? Does he prefer the classic watch and cufflinks look? Or will he wear items that are bolder and make a statement? Once you’ve thought about these personal characteristics, consider the type of jewelry pieces the person already owns and wears often. Are her ears pierced? Do you notice she wears necklaces but shies away from rings? Next, Think About the Material: White gold, yellow gold, rose gold, or platinum: everyone has a different preference. You’ll want to investigate other jewelry pieces your loved one shows favor to. Also, consider whether or not your loved one has an allergy to a certain metal or material. Consider the Shape: From the classic heart shape to the pear (tear), princess, or emerald cut, there are countless options. Consulting a top jeweler will help you decide which cut will complement the birthstone and jewelry piece. A one-of-a-kind birthstone deserves a custom jewelry design! 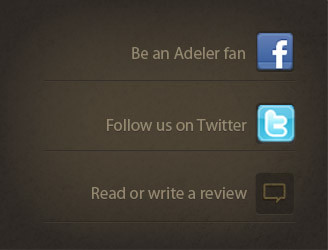 At Adeler Jewelers, that’s exactly what you can expect. When you schedule your consultation with master jeweler Jorge Adeler, he’ll work with you individually to help you design a beautiful birthstone jewelry piece that your loved one will cherish forever. To learn more about our stunning collection of jewelry or if you’d like to explore our other custom jewelry designs, visit our website or contact our Flagship store location today!